A slow metabolism can hamper weight loss. Drs. Naras Bhat, Kusum Bhat, Anita Bhat, and Jyoti Bhat offer a unique program that can help speed up metabolism at Weight Loss Endocrinology, which serves residents of Antioch and Concord, California. How Does Metabolism Affect Weight? Metabolism is the name for the process by which the body converts food into energy. In addition to energy for exercise, the body requires energy for basic functions like breathing, circulation, growth, and repair. The latter is called the basal metabolism. The basal metabolic rate is affected by gender, body size, and age. Men tend to burn more calories than women. Larger or more muscular bodies typically have a high basal metabolic rate. As people age, the metabolic rate typically decreases. Metabolic testing is a measure of the body's ability to consume oxygen. A resting metabolic test is performed while the patient is sitting or lying still, while a VO2 max test measures oxygen use during intensive exercise. The patient wears a face mask or breathes into a mouthpiece and tubing connected to a monitor, which measure the amount of oxygen used. Metabolic testing can be used to determine whether someone has a metabolism that is slower than the average. Although the internet abounds with ways to boost metabolism, many are ineffective and some may even be dangerous. Healthy ways to boost metabolic activity include getting regular aerobic exercise, building muscle mass and generally increasing your activity levels. For maintenance, you need at least 30 minutes of aerobic exercise five days a week (and more for weight loss). Muscle tissue burns more calories than fat; most people need at least two sessions of muscle-strengthening exercise each week. Increased activities of any kind will also burn more calories. 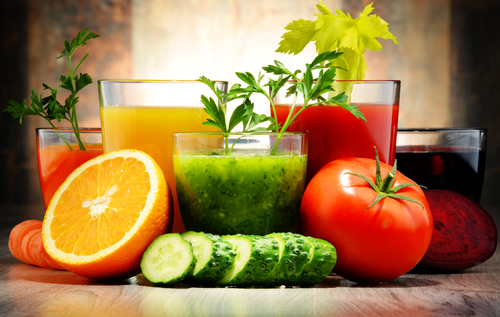 How Does Detoxification Affect Weight Loss? Toxic chemicals like pesticides, substances used in plastics and chemicals from air pollution bind to the fat cells in the body. During the weight loss process, the fat cells release these chemicals into the blood stream. The chemicals may decrease the production of thyroid hormones, which slows the metabolism. Detoxification can help remove the chemicals from the bloodstream and improve metabolism, making it easier to lose weight.